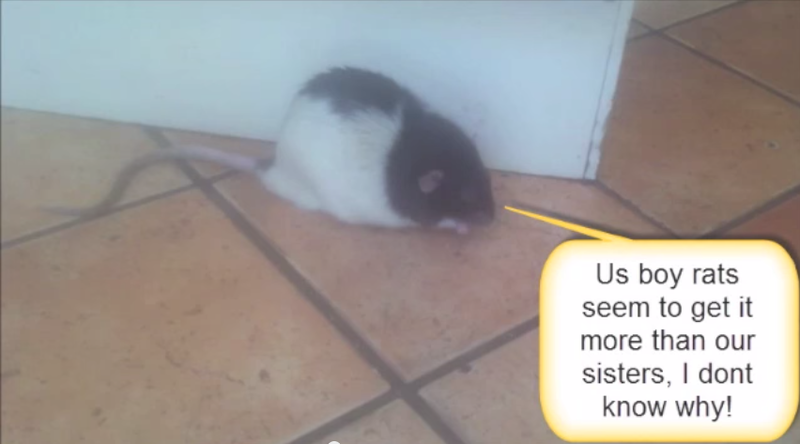 George the rat has a spinal problem! Rats have spines too – and they get spinal problems! Especially boy rats, for some reason. Meet George – a rat with spinal stenosis – degenerative changes in the spine – that is causing him to have mobility problems!